The information contained in the EASO website is subject to a privacy statement, a copyright notice, a disclaimer and a security statement. EASO is fully committed to user privacy. The processing of personal data of individuals by the European Asylum Support Office (EASO) is subject to Regulation (EU) 2018/1725 of the European Parliament and of the Council of 23 October 2018 on the protection of natural persons with regard to the processing of personal data by the Union institutions, bodies, offices and agencies and on the free movement of such data, and repealing Regulation (EC) No 45/2001 and Decision No 1247/2002/EC. EASO does not collect personal information when you visit our website unless you choose to provide such information. The information we collect varies based on what you do when visiting our website. By using this website, you consent to the processing of data about you by EASO in the manner and for the purposes set out below. For any queries or complaints about the use of your personal data on this website you may at any time consult EASO's Data Protection Officer (dpo@easo.europa.eu) or have recourse to the European Data Protection Supervisor). The information requested by EASO will be used to respond to your inquiry or to provide you with the service associated with the request. When this information is requested, a specific privacy statement will describe fully the reasons for collecting it and will provide a description of EASO's intended use of the information. EASO collects information on website usage (including IP addresses) for the purpose of analysing your use of the website, compiling reports on website activity and providing other services relating to website activity and internet usage. EASO will not associate your IP address with any other data held by EASO. You may send us personal information in an electronic mail message. This information is used solely for responding to your requests. If you have any questions about the processing of your e-mail and related personal data, do not hesitate to include them in your message. Copyright notice: © European Asylum Support Office, 2019. Reproduction is authorised, provided the source is acknowledged, save otherwise stated. 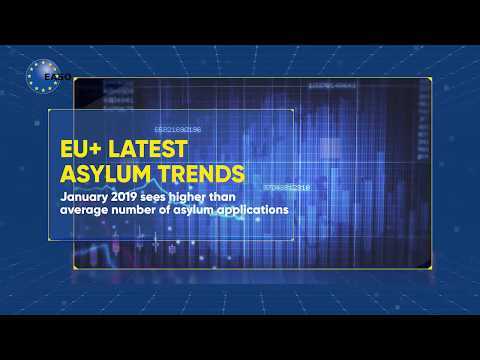 EASO maintains this website to enhance public access to information related to its activities and to information in the field of asylum and international protection. EASO aims at offering accurate, high quality and up to date information. However, this information is of a general nature and is not intended to address the specific circumstances of any particular individual or entity, nor is it intended as a professional or legal advice. Neither EASO nor any person acting on its behalf may be held responsible for the use which may be made of the information contained in the EASO web site. The EASO web site provides links to third-party websites. Since we do not manage them, we encourage you to review their privacy policies. You should also note that EASO does not have powers on individual applications for international protection, which are analysed and decided by the Member States' asylum authorities. Our goal is to minimize disruption caused by technical errors. However some data or information on our site may have been created or structured in files or formats that are not error-free and we cannot guarantee that our service will not be interrupted or otherwise affected by such problems. EASO accepts no responsibility with regard to such problems incurred as a result of using this site or any linked external sites. This disclaimer is not intended to limit EASO's liability in contravention of any requirements laid down in applicable national law nor to exclude its liability for matters which may not be excluded under that law. For website security purposes and to ensure that it remains available to all users, network traffic is monitored to identify unauthorised attempts to upload or change information on this website or otherwise cause damage or conduct criminal activity. Anyone using this website is advised that if such monitoring reveals evidence of possible abuse or criminal activity, results of such monitoring might be provided to the appropriate authorities.